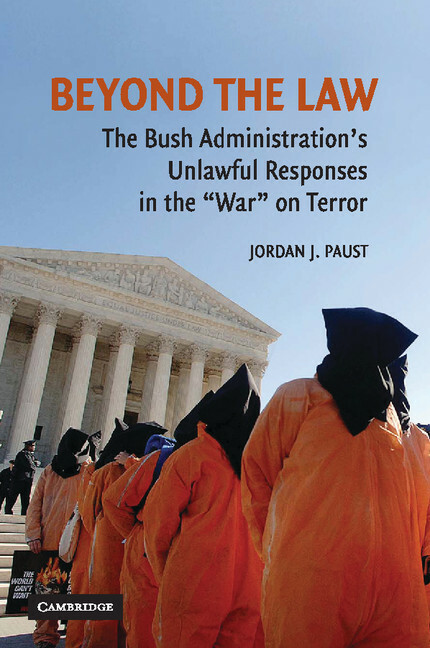 Jordan J. Paust is author of Beyond the Law: The Bush Administration’s Unlawful Responses in the “War” on Terror (2007). Paust is the Mike and Teresa Baker Law Center Professor of International Law at the Law Center of the University of Houston. He received an A.B. and a J.D. from UCLA, an LL.M. from the University of Virginia, and is a J.S.D. Candidate at Yale University. Professor Paust has also been a Visiting Edward Ball Eminent Scholar University Chair in International Law at Florida State University, a Fulbright Professor at the University of Salzburg, Austria, and a member of the faculty of the U.S. Army Judge Advocate General's School, International Law Division.